Ever heard of “Turtle Fur”? Well, I hadn’t either, until we went skiing as a family at Boyne Mountain in upstate Michigan this past January. It was S.N.O.W.I.N.G. And that’s great for powder skiing, but what to do for three daughters who are getting chilly drafts down their necks and scarves are a nuisance? Enter the ski shop and purchase Turtle Fur! It’s basically a piece of stretch fleece sewn into a tube. It pulls over your head and then covers your nose, if you wish to ski in a blizzard or –20 degrees Celsius. We’ve got old fleece scarves in our house that worked nicely when girls were little girls, but they want something less cumbersome than a traditional scarf. So I trimmed off the scarves’ fringes. And stitched each one into a long tube. 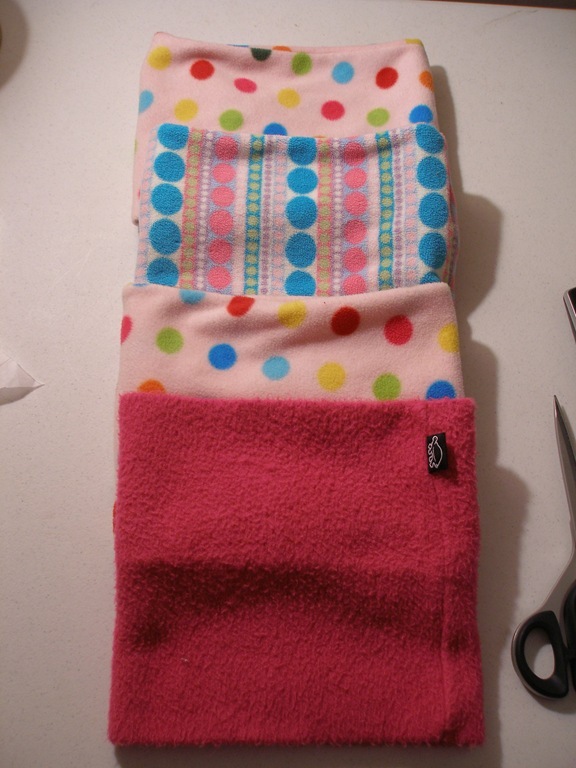 Then I folded the long tube in half in order to get two double layers of fleece. Then I used the Turtle Fur to determine the width of my versions. Then I stitched stitched the ends, right sides together, leaving an opening to turn the tube. Then I turned the tube right side out, and stitched the opening in the joining seam closed. And voilà! Turtle Fur à la MezzoCouture. Now four people will be cozy on the slopes this winter! I was surprised this went so quickly. 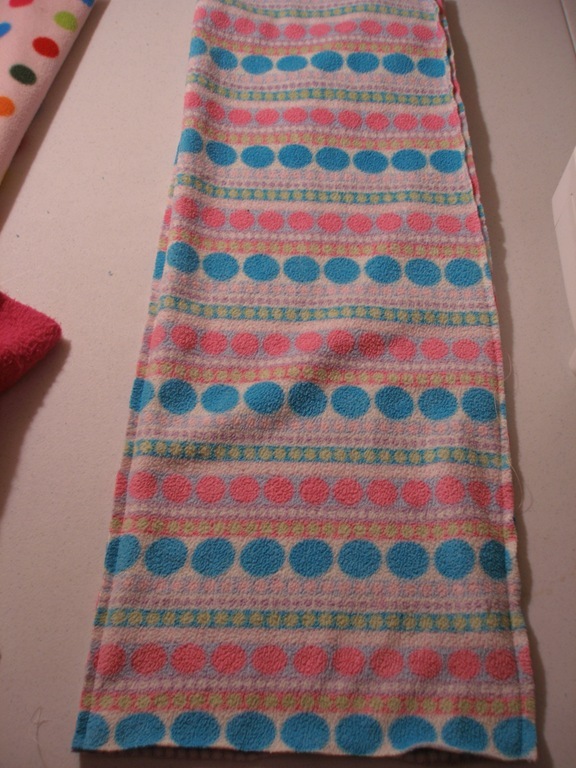 Well, I guess it’s not exactly rocket science to sew up a tube of fleece, but I’ve never really upcycled anything purchased before, so may this be the start of something new in my sewing life…. < Previous What’s your style?